Certified Pre-Owned vehicles from Chevrolet, Buick, and GMC offer greater value and confidence than ordinary used cars. That’s because each of our CPO vehicles undergo a 172-point vehicle inspection and a thorough reconditioning process. And it’s why every CPO vehicle includes not one, but two General Motors-backed factory limited warranties. 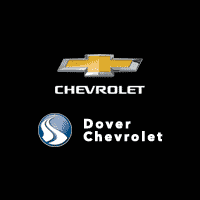 Bring home more value and peace of mind at Dover Chevrolet. From our CPO Scheduled Maintenance Program with two included maintenance visits, a Powertrain Limited Warranty with $0 deductible, and other benefits that come standard with every Certified Pre-Owned Chevrolet, Buick, and GMC vehicle, you enjoy more than $2,800 of Built-in Value — a greater value than ever before. See below for more details. This is not your regular, everyday used vehicle. Certified status is a name that is earned, and earned only by meeting our rigorous standards. If it doesn’t pass, we completely recondition it or we don’t certify it. Our 172-point vehicle inspection and the reconditioning process is one of the most comprehensive in the industry-and just one of the differences between a regular used vehicle and a Certified Pre-Owned vehicle from Chevrolet, Buick, and GMC.